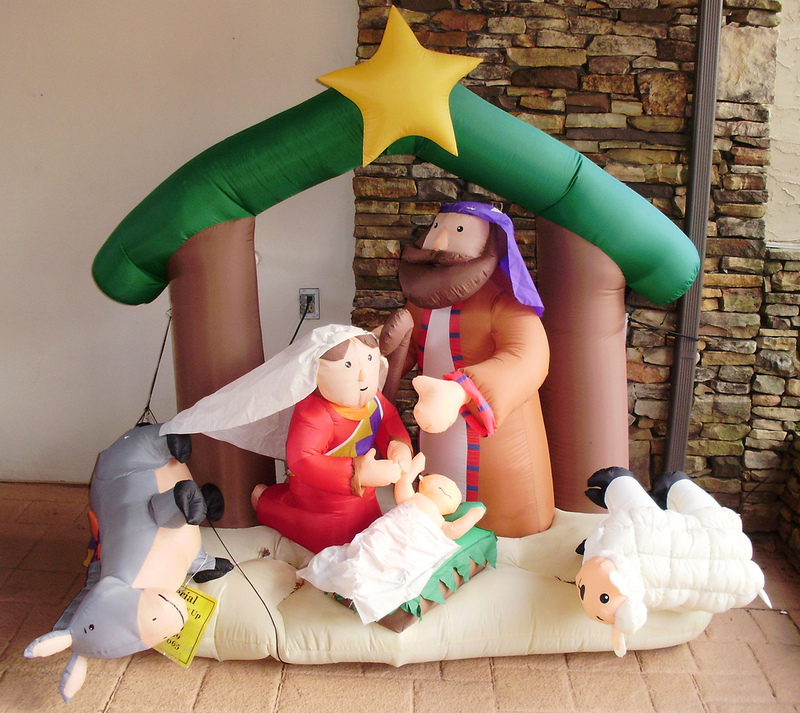 Christmas season is upon us and amongst the Santa Clauses and Snowmen we always have one of the stables of the holiday season: The Nativity Scene. 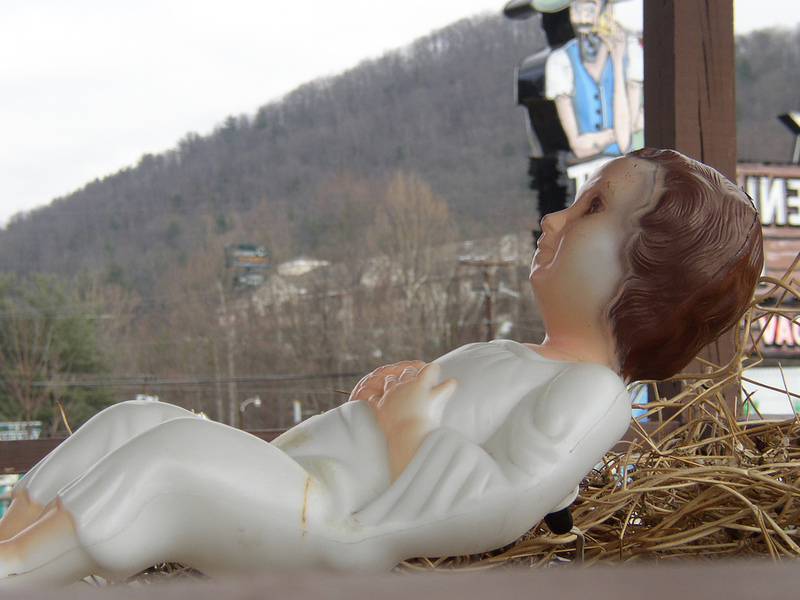 The classic tableaux of baby Jesus and his entourage. 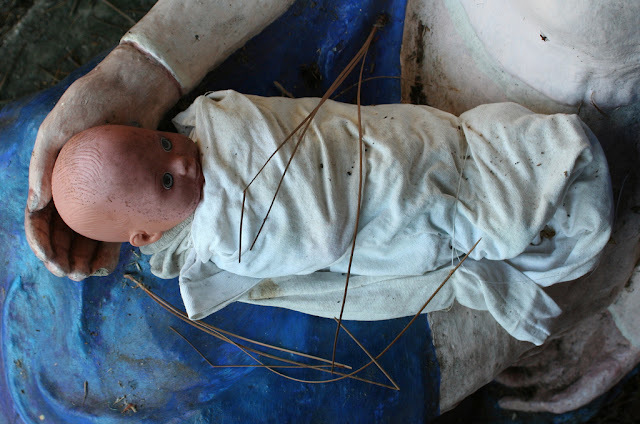 Stealing the baby Jesus has been one of the biggest goals of hooligans over the years, in fact the problem is so widespread that they have begun the practice of planting GPS trackers inside of baby Jesus. I wanted to take some time to show some of the more unusual and off-beat Nativity Scenes I have seen over the years. Jesus appears to be a pig in the blanket and Mary and Joseph kinda look like painted Twinkies, but its a sweet sentiment. Now one would think that gingerbread and Nativity would be as a natural combination as peanut butter and Jelly, but one must remember that the structural integrity of gingerbread houses can at times be questionable. 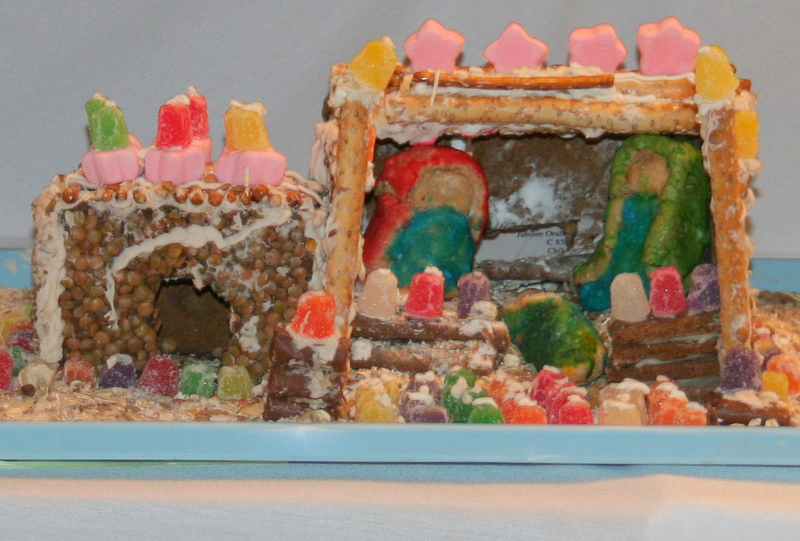 Ginberbread Manger collapse is a serious concern. 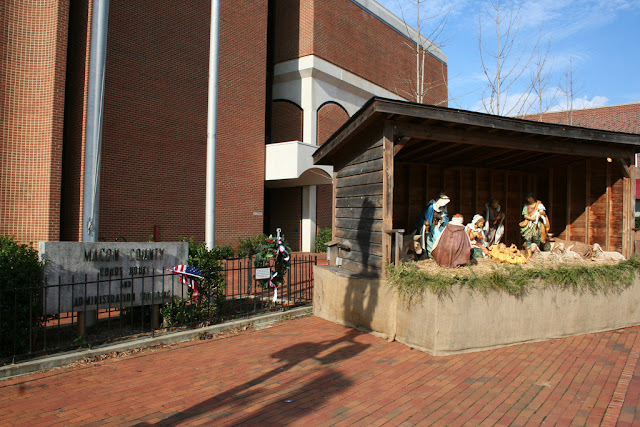 Every year in Macon County, NC they put a Nativity scene in front of the court house. This angered some people as they felt it was a violation of the separation between church and state. The county decided to circumnavigate this concern by designating the front of the court house as a "free speech" zone and encouraging others to place their holiday displays. A Wiccan Coven actually placed a display for a short time. 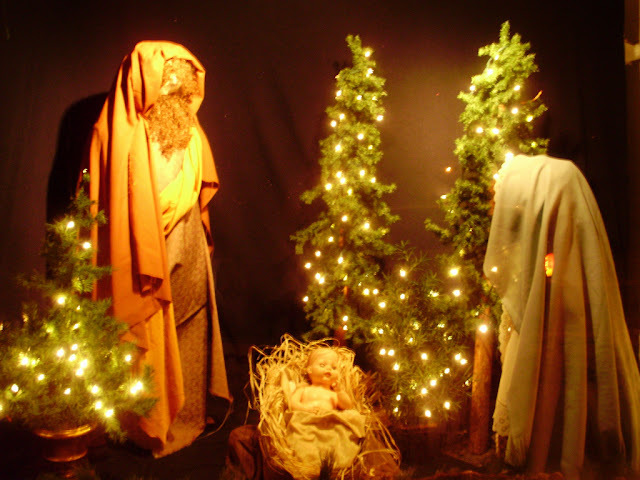 However any sort of consistent non-Christian display failed to materialize and the Nativity stands to this day. 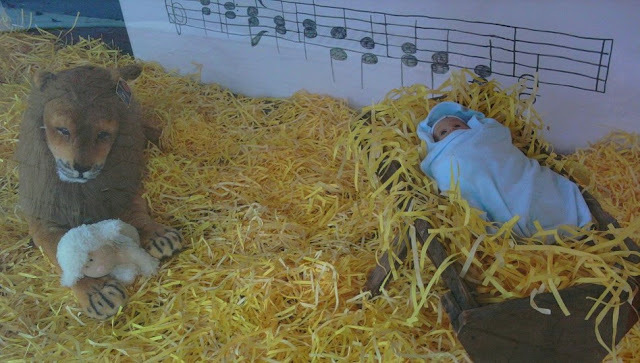 Now this probably has some religious connotations, but all I can think about is how that Mary and Joseph should be more careful and not leave Baby Jesus alone with a lion. The town of Christmas, FL was named after Fort Christmas, but the locals obviously felt the need to add some spice to their town to play up the name. 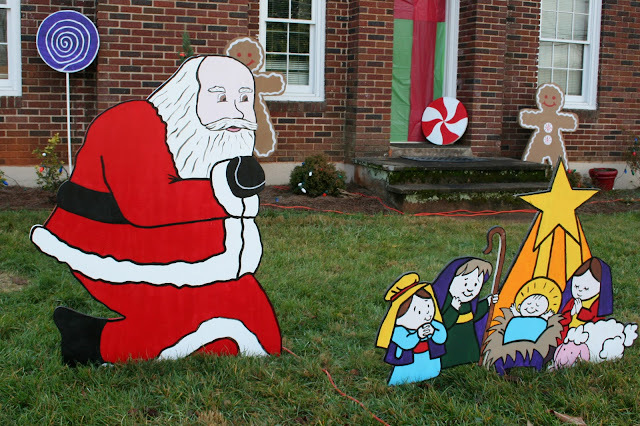 One of the these enhancements is their year long Nativity Scene. These are not blow-mold figures. They are sturdy concrete. Well except little Jesus. Although, touchingly, no one has stole little Jesus. Either that or they have a big box of Baby Jesuses around back. 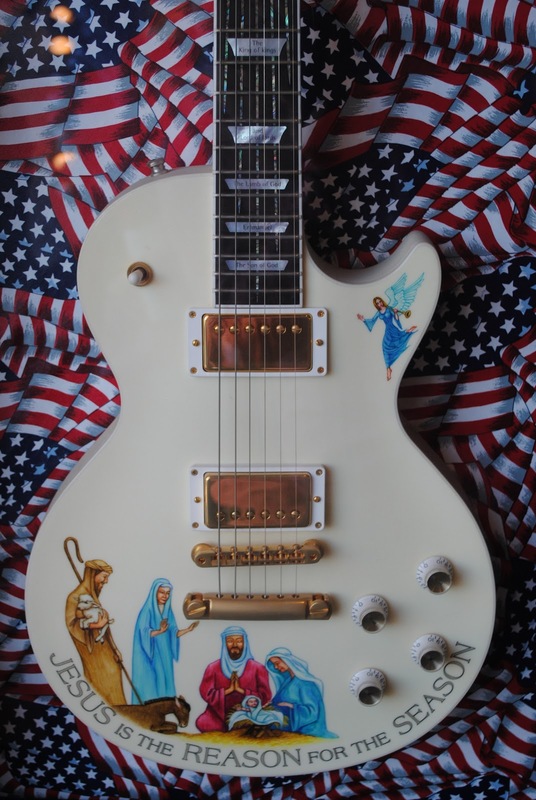 Previously found in the now defunct Charlie Daniels Museum in Nashville, TN. 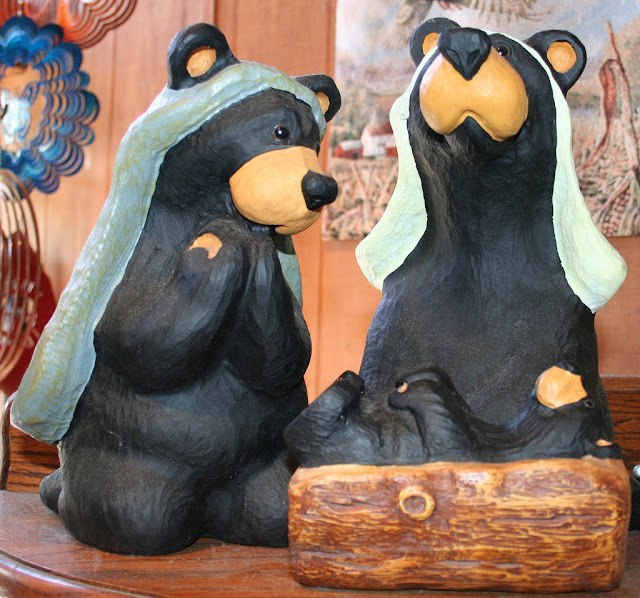 Here in the Smoky Mountains we are dedicated to to putting black bears on everything to sell to tourists. 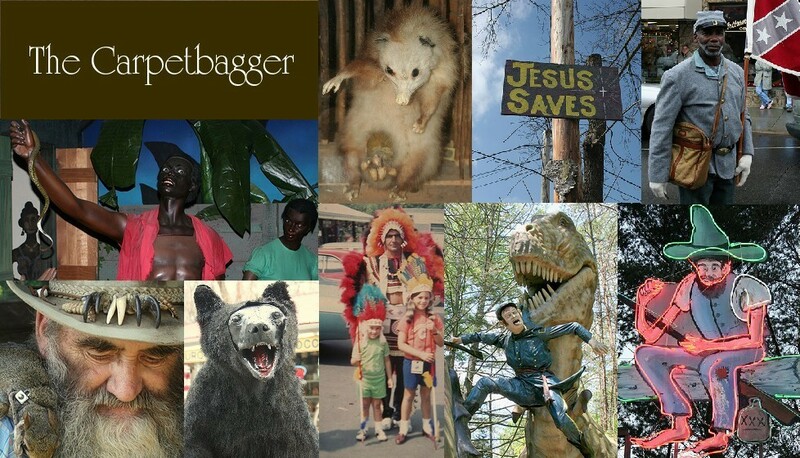 Man, if Jesus was actually a bear, the Bible would be WAY different. 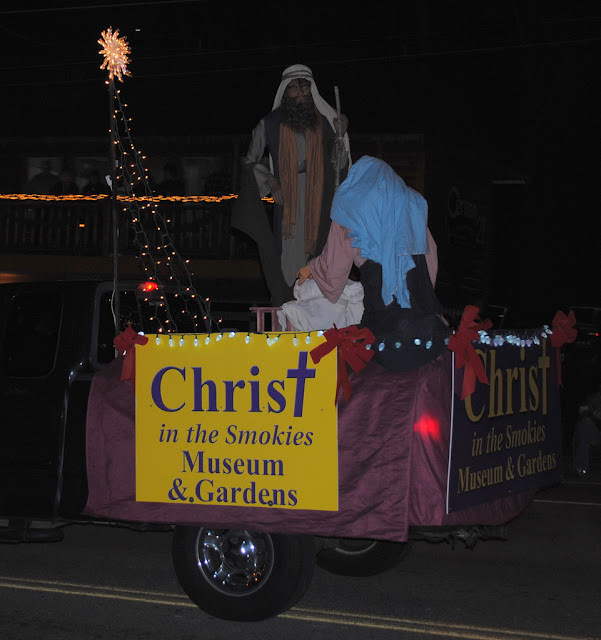 At the Gatlinburg, TN Christmas parade the local religous attraction "Christ in the Smokies" ran this parade float. Yes, they are mannequins. What made is scary was when the truck whizzed past us at 60 MPH before the parade, scarying the hell out of my wife, who mistook them for real people. 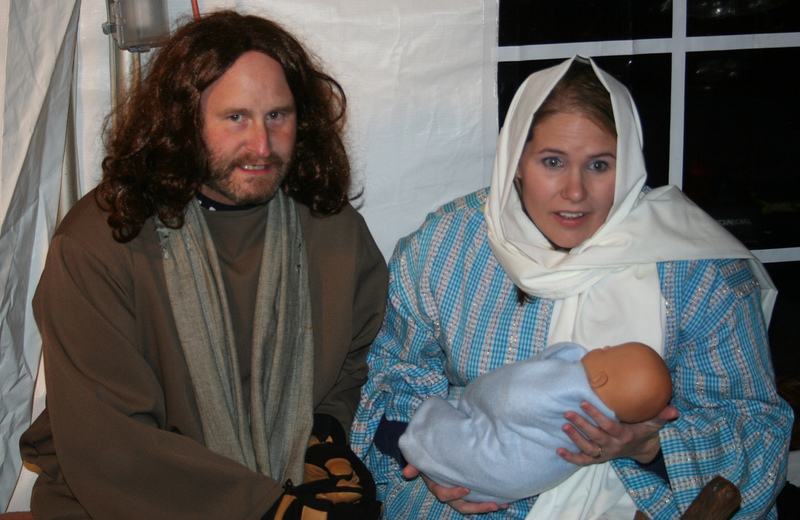 The living Nativity scene can be a charming event and a pleasant part of the Christmas festivities. They give people a chance to see first hand what the first Christmas would have looked like. 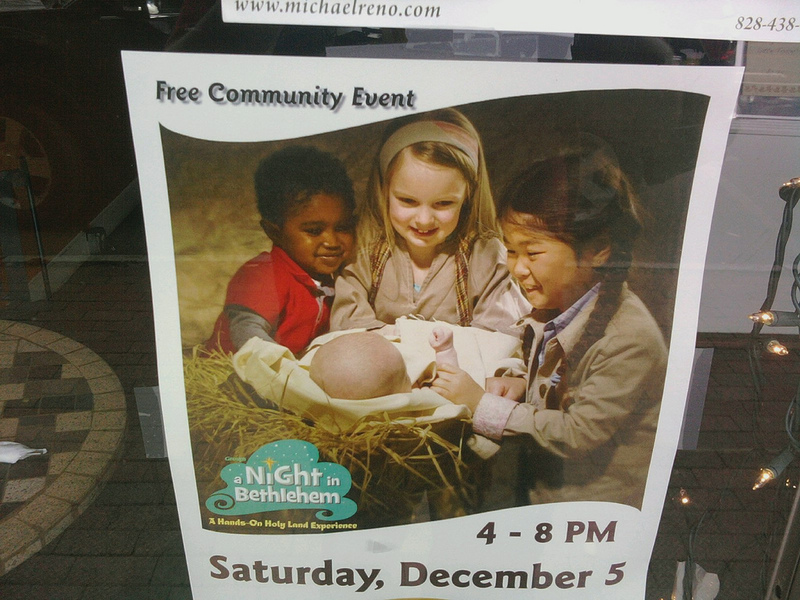 And it gives little kids a chance to put their dirty little hands all over Baby Jesus. 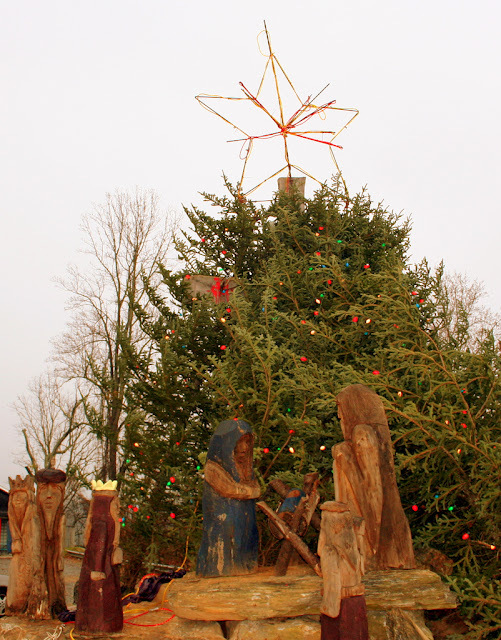 However, not all live Nativities are the same. 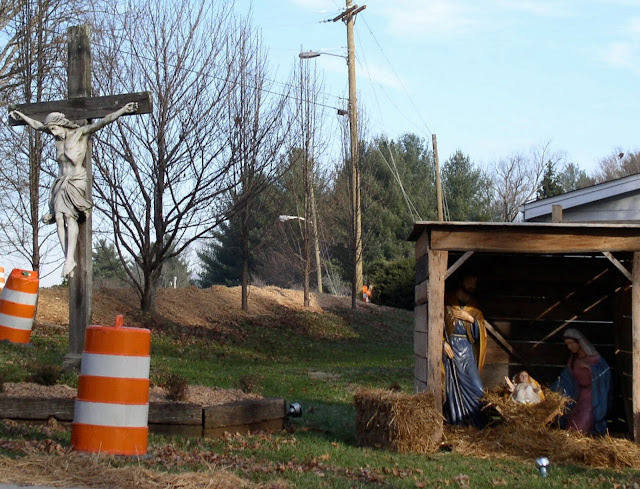 Me and my family were passing a church and saw that they had a live Nativity. We decided to pull in and check it out. For some reason it was a drive-through Nativity. We pulled up and saw little baby Jesus in his manager. But it didn't end there. 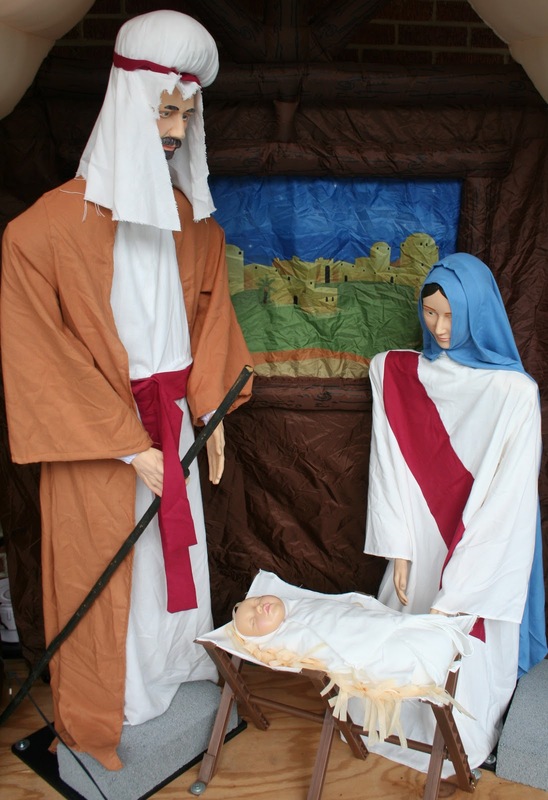 As we trouble through the church parking lots there were different scenes depicting Jesus' life. 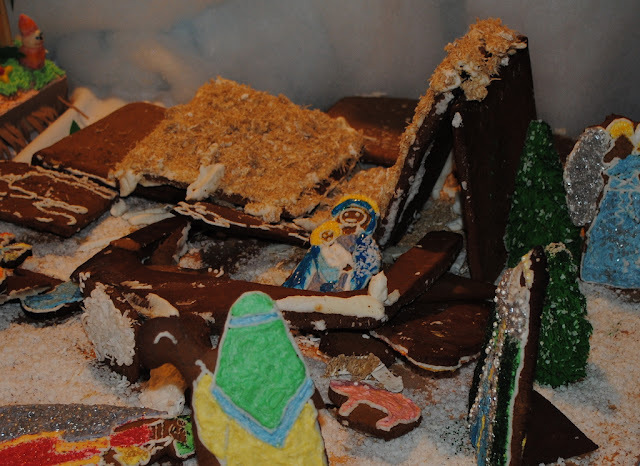 Including a scene were Jesus was being beaten by roman soldiers. Keep in mind this took place in a dark parking lot and from what we could make out was Jesus being mugged and beaten with chains while he shrieked in pain. My daughter started crying. 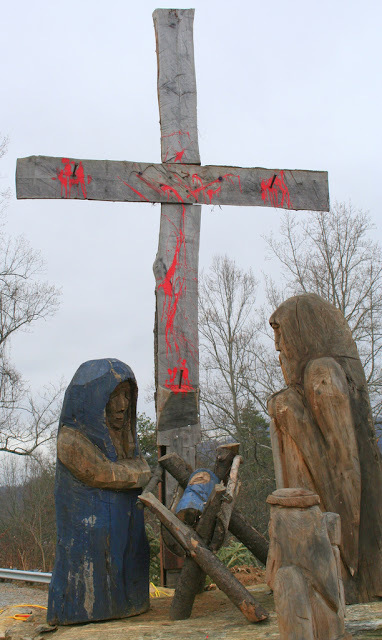 It started getting even more uncomfortable as we drove past a bloody guy strapped to a cross. 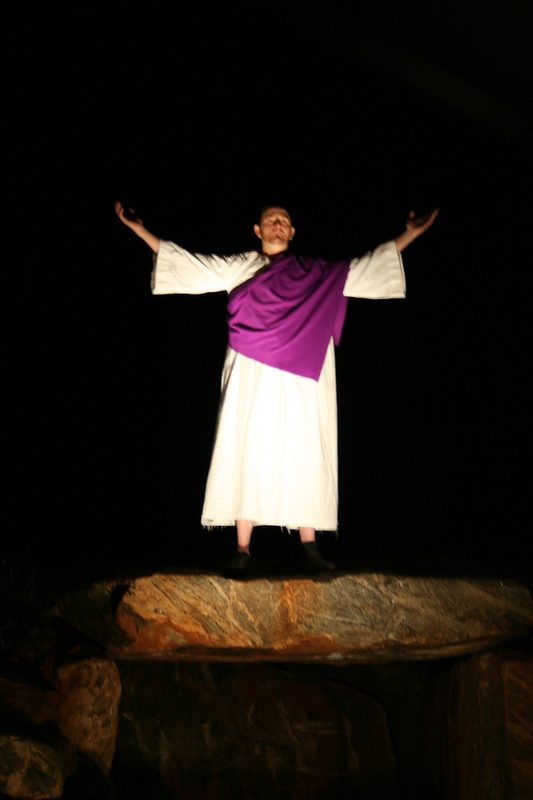 Luckily, Easter Jesus showed up to shine a little bit of light on the parking lot version of "Passion of the Christ". 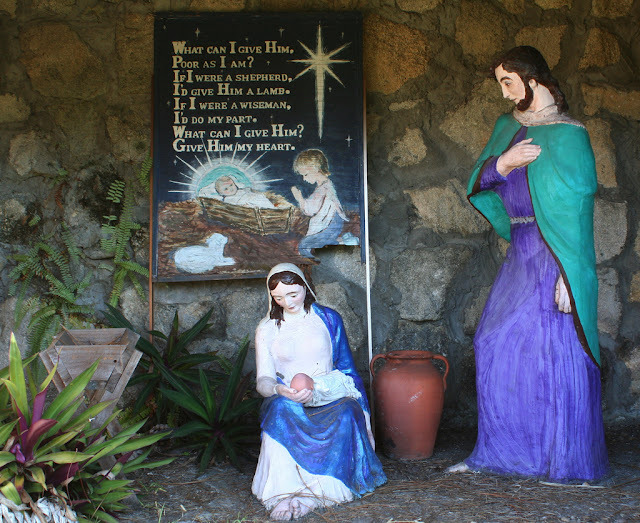 I know, I know....Baby Jesus and grown up Jesus are the same person, but it there is something unsettling about seeing the two together. A local preacher set up a display for Christmas known as "Cradle to the Cross." Wrapped it in Christmas trees and placed a Wooden Nativity Scene in front of it. 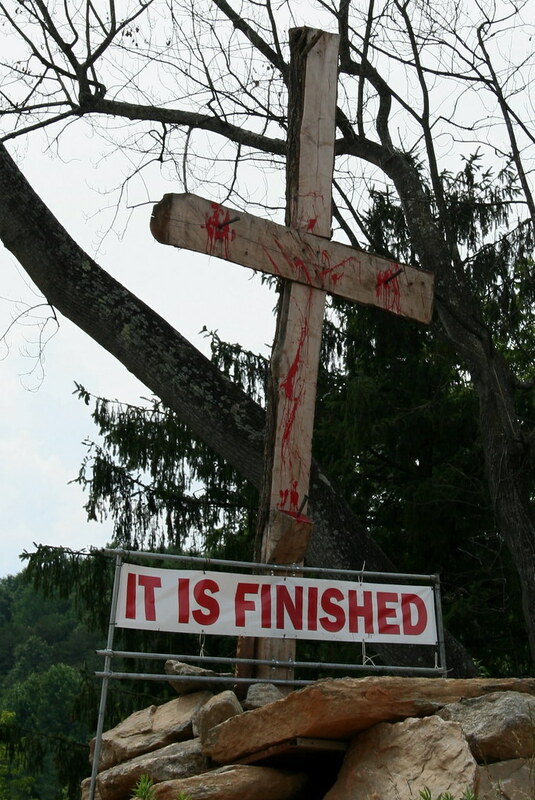 The idea was that the tree would wilt and fade away and leave the cross exposed. Leaving this imagery. That may be a powerful image to some people, but it makes me feel bad for poor little Jesus. Of course he's just a log painted blue, so maybe I should relax. Awhile back I found this interesting display. 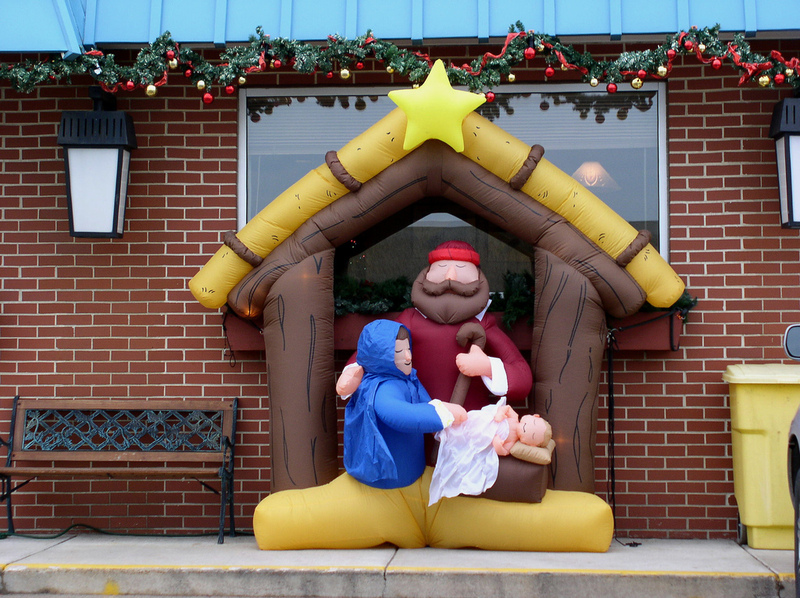 That is Santa Claus praying to Jesus. 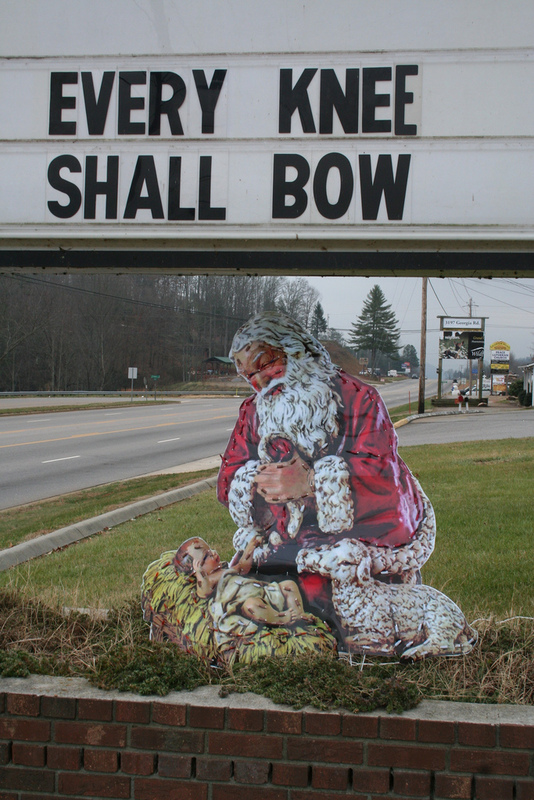 Interesting mixture of the religous and secular aspects of Christmas. 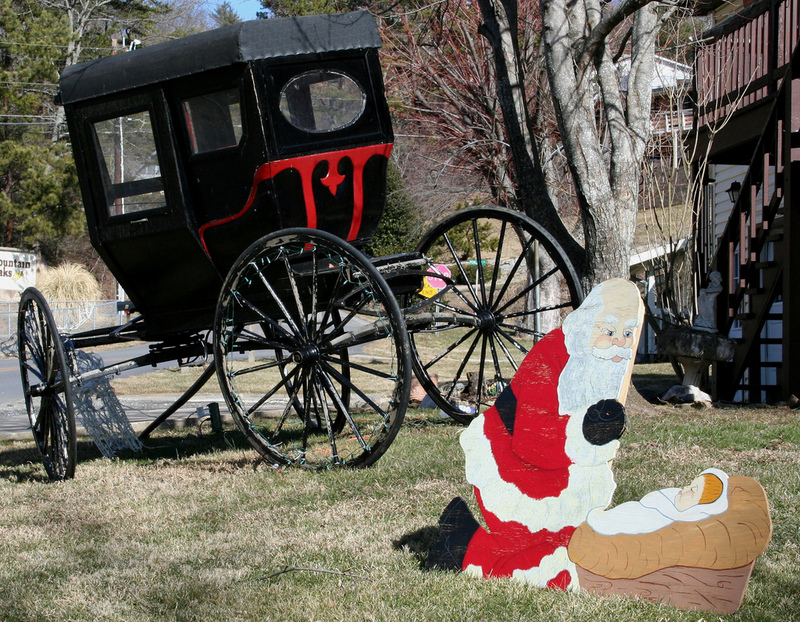 And interesting that Santa appears to be some sort of giant. This was not alone display either, apparently this image has become a popular one.